Our post today is authored by Barry Waugh, who currently serves as church historian for the Second Presbyterian Church of Greenville, South Carolina. University of Alabama. Dr. Stillman’s next call was to the Presbyterian Church at Tuscaloosa where he began his longest ministry in 1870 and continued there until his death on January 23, 1895. Dr. Stillman’s non-pastoral ministerial efforts were many. He was the Chairman of Tuscaloosa Presbytery’s Home Missions Committee. From 1847 until 1884 he served as the Stated Clerk of Tuscaloosa Presbytery. One of his most significant achievements was when a group of Tuscaloosa Presbyterians, headed by Dr. Stillman, presented an overture to the 1875 General Assembly of the Presbyterian Church in the United States concerning a training school for Black ministers. The 1876 General Assembly followed the recommendation of its specially appointed committee and authorized establishing the Institute for Training Colored Ministers at Tuscaloosa. In the fall of 1876 Charles Stillman taught its first classes. The Institute came to be named the Stillman Institute in honor of its devoted founder who served as its superintendent from its founding until his death. The curriculum and nature of its educational program has changed over the years and it is known today as Stillman College. Charles Stillman was married three times. He married his first wife, Martha Hammond of Milledgeville, Georgia, on October 15, 1846. His second marriage was to the widow Fannie Collins of Shubuta, Mississippi, whom he married on April 17, 1866. Elfreda Walker of Clarksville, Tennessee was his third wife and they were married on April 17, 1872. At least two of Dr. Stillman’s descendants continued to serve the Presbyterian Church–his daughter, Anna M. Stillman, was a secretary for Rev. T. P. Mordecai at the First Presbyterian Church, in Birmingham, Alabama, and his grandson, Rev. 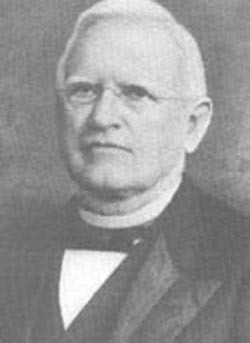 Charles Sholl, was the pastor of the Avondale Presbyterian Church, another of the Presbyterian churches in Birmingham.